Gadget watch pioneer 'Click Watches' and Watchismo are proud to introduce the WALLSWITCH WATCH, the third in a series of high and low concept watches. Fashioned into exactly that, a case that is entirely one giant light switch. Instead of room light, this lights up the hidden animated LED time beneath the switch plate. One direction for time, the other for date. 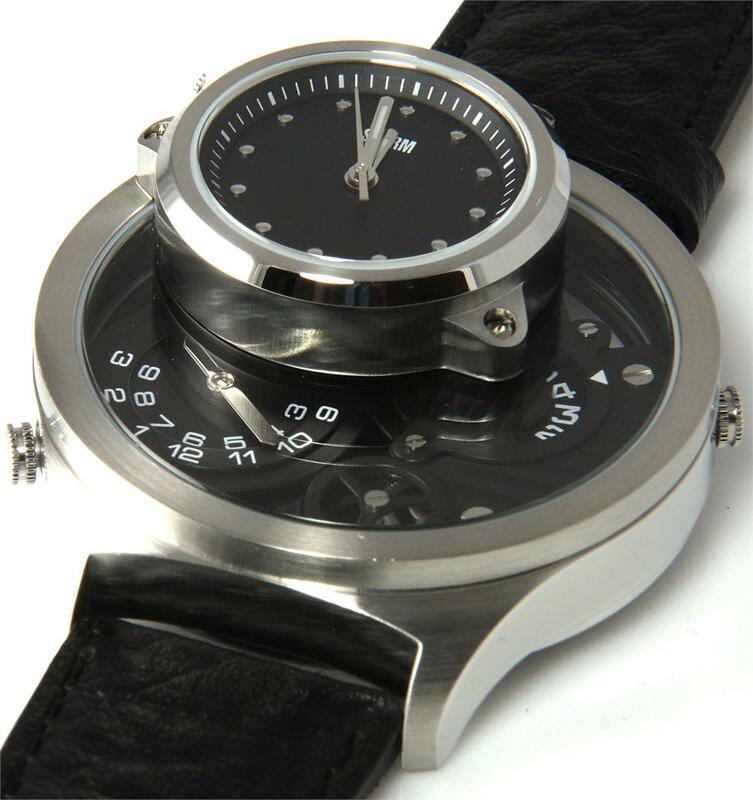 Simple, odd yet very cool timepiece. Storm Trilogy Watch - Double Decker Triple Time Zone! Much like the iconic double decker buses in the UK, this British designed limited edition Storm Trilogy watch has two levels. The top floor is a traditional three-handed clock bolted onto the bottom floor where two totally different one handed displays give you two other timezones. On the right features a simple single hand for hours so if it lies in the middle of the 8 and 9, it's showing 8:30. To the bottom left is a more unique way of displaying the time due to the obscured viewing area. A single hand of different lengths and design point to the hours in two rows, the shorter hand points to the hours past 3 o'clock and the longer hand points to the hours past 9 o'clock. 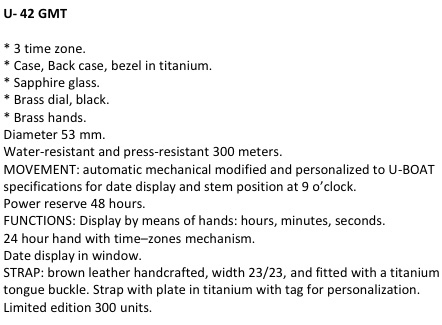 Limited Edition U-Boat U-42 GMT - Only 300 Produced! 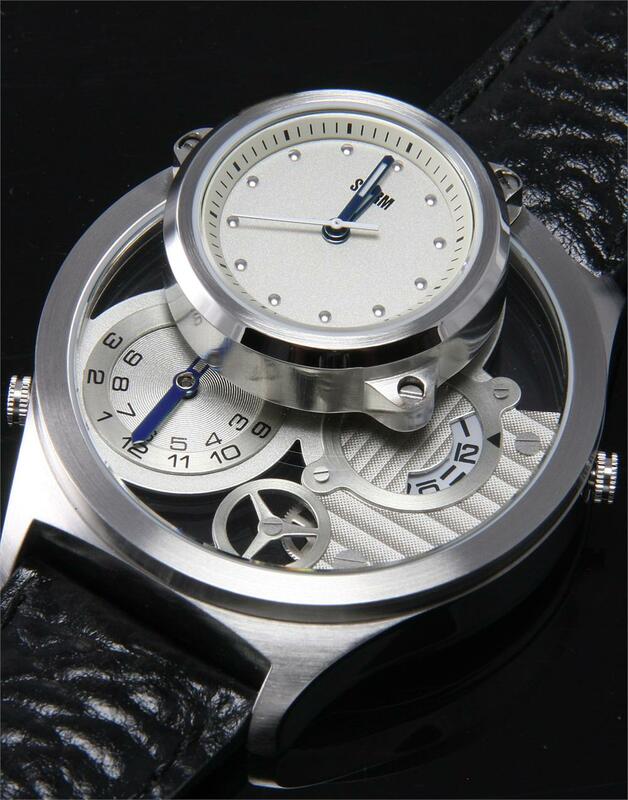 This is a limited edition Titanium piece to 300 pieces worldwide with a unique U-BOAT crown that pulls outwards at 90 degrees. The Crown locks into place with a level positioned at 5 o’clock. 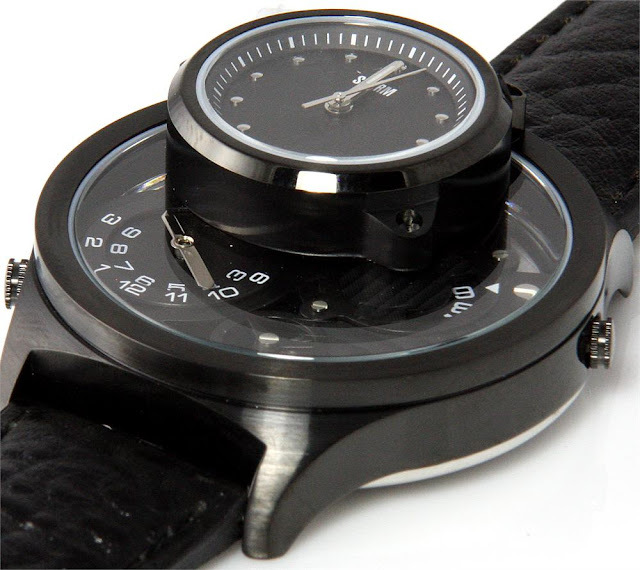 The strap is cordovan leather and the watch comes in a box with a magnifying glass. Every single U-Boat timepiece is individually handcrafted in Italy by master craftsmen, dedicated to the highest level of precision engineering and finishing, where care and attention to detail span the entire process, from the very first prototype to the final assembly of the watch. 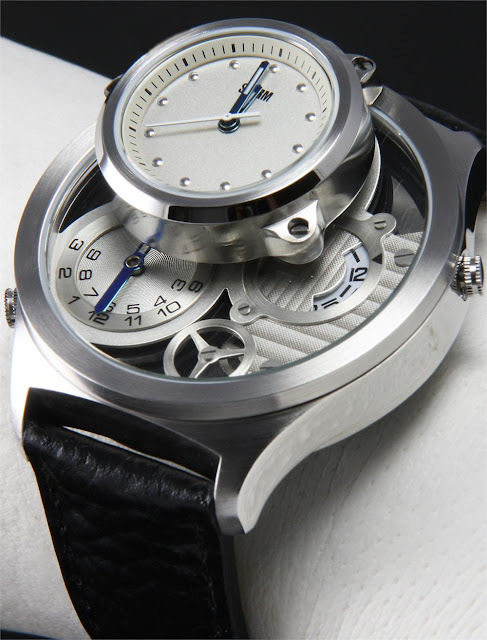 Ilvo Fontana, crafter of precision engineering instruments, received a prestigious commission from the Italian Navy: to design and build a new type of watch for their pilots. This challenge meant satisfying the high quality standards of the Navy and respecting very precise technical specifications, but above all guaranteeing maximum visibility and reliability in any light or weather condition. However, circumstance at that time did not allow the project to materialize. In 2000 Italo Fontana, Ilvo’s grandson, discovered these precious designs, which were to become his source of inspiration for the creation of the first U-Boat watch and his new dimension in time. 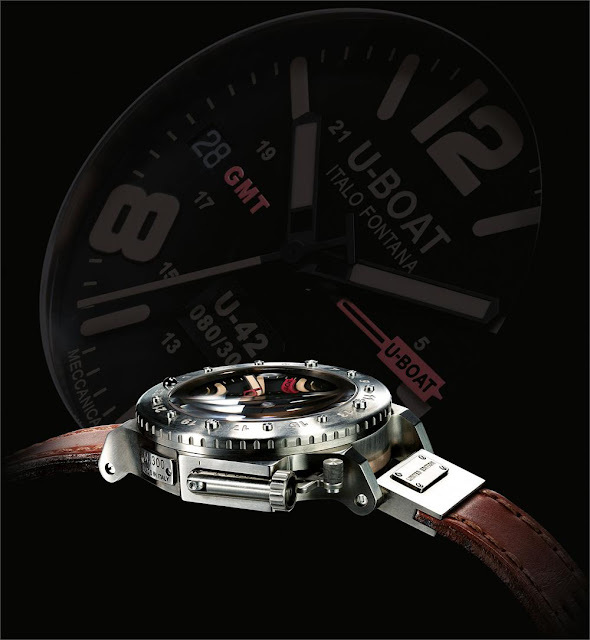 U-Boat watches are characterized by their strong identity, large size, perfect legibility in all light and weather conditions, along with their bold and distinctive design: the left crown protected by a specially designed safety cover. 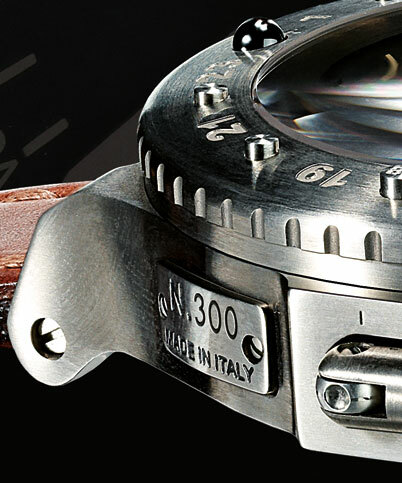 Every individual U-Boat watch is handcrafted in Italy and each tiny detail is overseen by Italo Fontana.